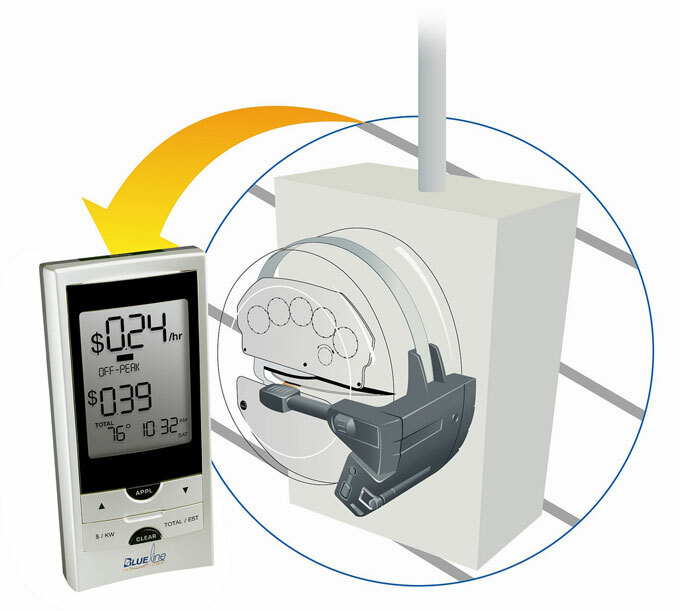 This energy monitor includes an in-home device displaying real-time usage information from the home's power meter. A new report from the American Council for an Energy-Efficient Economy, “Results from Recent Real-Time Feedback Studies,” summarizes the findings of nine large-scale pilot studies testing the effects of real-time feedback on electricity consumption. To evaluate methods of engaging residential customers in reducing their energy usage, the authors reviewed studies from the U.S., U.K., and Ireland involving in-home displays, online interfaces, and prepayment meters, and found average savings of 3.8%. Pilots including dynamic pricing and real-time information related to peak demand found peak savings up to 11.3%. The largest savings (19.5%) came from Northern Ireland, where existing prepayment meters were replaced with new meters with a real-time display; the authors point out that one-third of Northern Irish households are fuel-poor (spending at least 10% of their income on fuel) and may have welcomed the chance to monitor their electricity use more closely. A few households in several pilots achieved savings of 25%. The social dynamics involved in engagement are complex (see “Occupant Engagement—Where Design Meets Performance,” EBN Nov. 2011): many households that were offered free in-home displays refused them, while others who were initially engaged lost interest after gaining a sense of their normal energy use. Further research is called for on the persistence of savings achieved in such studies. For more information, see ACEEE.org.